I confess at the outset, I love this band. I was entranced by the construction of the compositions on their first album, "The Fruit Fallen." Every song was different, and played off one another, while each was also a journey in its own right. They made the festival rounds shortly after it's release and then, put out an album titled "Echoes of Edensong," that included live versions of songs from TFF, along with a new number, a remixed number and featured both a live and updated version of "Beneath the Tide," which was written and recorded by three of the core members, while still in their mid-teens, as part of an earlier, more thrash metal, version of Edensong. This song was usually the closing and inspiring number for most of their live performances and it was the obvious intent of the band to make it available under the Edensong banner. 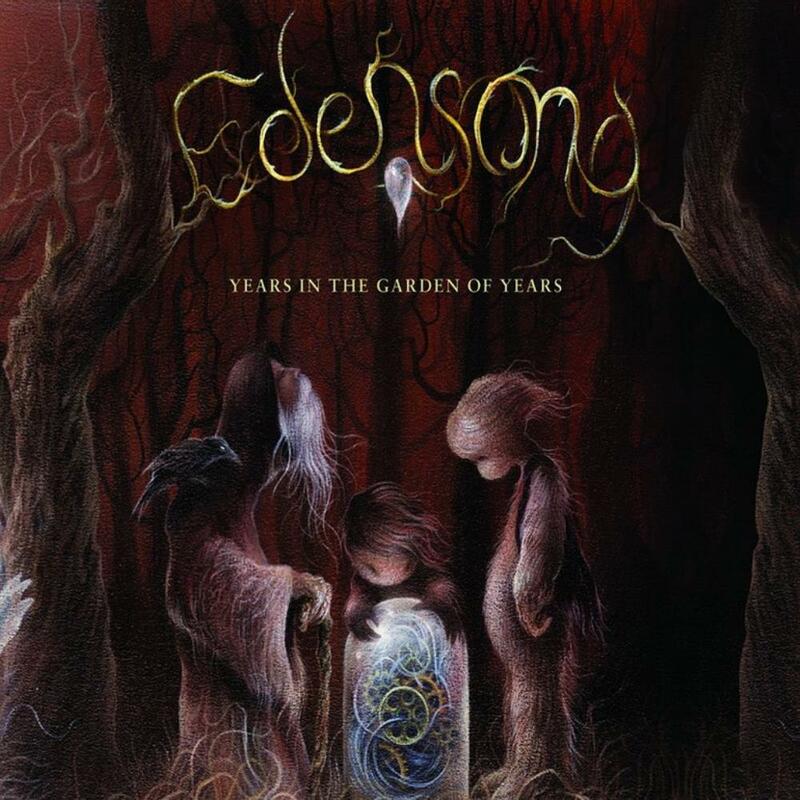 Their third effort, Years in the Garden of Years, took years to complete, as much because of the different directions that the band members had to take personally, as the attention to detail that it took to record this almost perfect album. Devotees of the giants of the golden era will find this to be a must listen. Fans of Jethro Tull, who wondered what that band would sound like if they continued to evolve progressively, should find this irresistible, as the music features the flute in additional and compelling ways, an extraordinary rhythm section full of driving base and exquisite and varied drumming. Song structures sometimes reminiscent of the best of Genesis, also find familiarity with the mellotron sound and ofttimes whimsical nature of the transitions. One could imagine that 1975 Genesis could have evolved in this direction had they not changed course, especially after 1977. Nowhere is the diversity of sound more on display than on the fourth track, "The Hollowed," which has more twists and turns than a bob sled run, featuring some of the most beautiful and playful melodies and ending with some highly charged symphonic prog, somewhat reminiscent of The Enid, with everything else in between. This is simply a utter delight and quite possibly one of my favorite songs of all time. Since the individual tracks are well described in other reviews, far better than I could articulate them, I will refrain from a detailed recitation of their intricacies and virtues. The best part about this album, as well as others that meet the masterpiece definition, is that each listen brings new discoveries and that it never gets old and like fine wine actually improves with age. It is the finest vintage of the music I love.